The history of Petsway dates back to 1951, when founder Karl Keller, Sr., purchased his first guppy at the age of 11. That guppy was pregnant, and Keller soon began raising and selling the fish out of his parent’s home in Ava, Missouri. Even at that young age, he dreamt of running a pet empire and was determined to make his dream a reality. From the first aquarium shop in 1955 to today’s Petsway stores, we have made it our mission to deliver the best products and education to our customers. We provide high-quality, specialty pet foods that customers will not find at mass merchants, and our friendly and knowledgeable staff can answer all of your pet-related questions and offer expert advice. 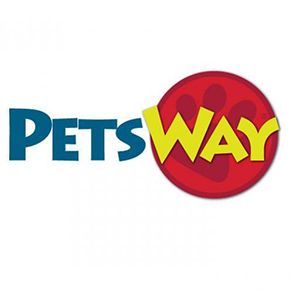 Petsway now has four convenient locations in Springfield, Missouri, as well as locations in St. Louis, Poplar Bluff, and Nixa. Our products include pet food and supplies for dogs, cats, small animals, reptiles, birds, tropical fish, and saltwater fish. At all of our stores (omitting Nixa), we also offer a variety of pets for purchase, including small animals, reptiles, birds, tropical fish, and goldfish. 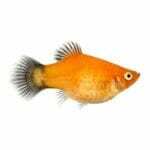 Our Poplar Bluff location supplies saltwater fish and coral as well. In addition to products, Petsway offers valuable services like grooming and obedience training. At six of our locations, we also host vet clinics. At four of our locations, we offer self-serve dog washing stations. Petsway is proud to be involved with the local pet community. We host pet adoption events and support Cruse Dog Park fundraising events, C.A.R.E., Killuminati, and the local Humane Society. Additionally, Petsway is proud to support Harmony House as well as the MS Society, where Petsway participates in the annual MS Walk. To learn more about pet organizations and resources, please click here.